Costa Rica is certainly an exotic destination but individuals interested in dental tourism will usually prefer to travel to a country where they can find high-quality dental services at a shorter distance from home. 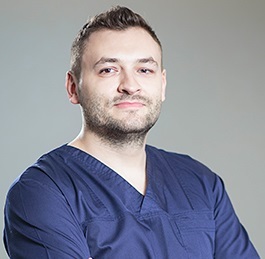 Romania’s position in the EU ensures that it is easily accessible from any European country but dental patients from around the world come to Romania because of the mastery of the dentists here. Compared to Costa Rica, Romania offers certain advantages to tourists interested in dental treatments abroad. Some of the most important include lower costs for transport and accommodation and quality dental services at lower prices. Our dentists in Bucharest are a team of professionals who have worked for many years in the field and have handled hundreds of cases. Their expertise qualifies them in a number of important areas, including pedodontics and highly specialized interventions like oral and maxillofacial surgery. However, the most common procedure requested by our foreign dental patients include teeth whitening and other procedures related to cosmetic dentistry and dental implants. 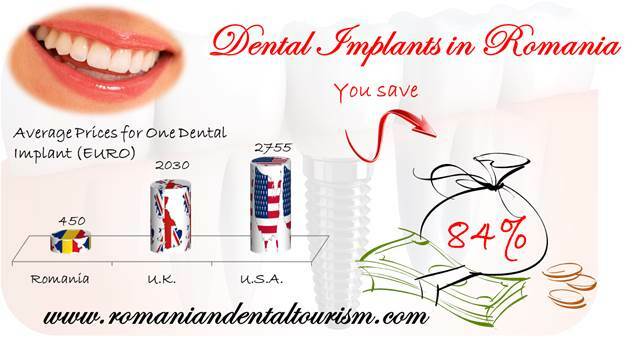 The prices for dental services in Romania are highly affordable. 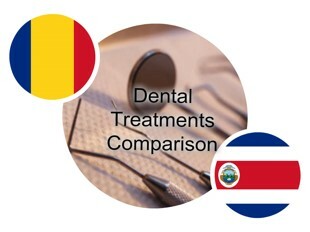 A simple comparison for common dental procedures reveals that while in Romania the price for teeth whitening is 230 euros, in Costa Rica the same procedure will have prices beginning at 300 euros. The price difference for this simple procedure is enough to pay for a one night’s accommodation in Bucharest and have a meal for two at a restaurant. Romania is an affordable country and tourists traveling here for dental treatments will enjoy spending more time to discover the country’s beauty. While staying at a central hotel in Bucharest, tourists can visit the city and enjoy a traditional Romanian meal. Restaurants are plentiful in the Old Town and the nightlife is one thing Bucharest is famous for. Transportation is also affordable in Romania. At 0.30 euros per kilometer, tourists can choose to get around the city in a taxi or buy a one-way bus ticket for 0.28 euros. If you want to know more about dental treatments abroad and Romania is your option for dental travel, please contact our dentists in Bucharest. We will give you more information and help you plan your trip.